It appears Seahawks cornerback Brandon Browner won't have to spend his time in street clothes on the sideline anymore. 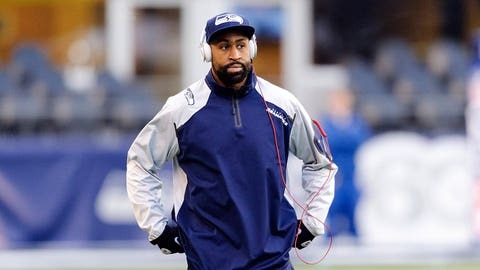 Former Seattle Seahawks cornerback Brandon Browner tweeted Tuesday that he was reinstated by the NFL following his suspension in December for violating the league’s policy on substance abuse. Browner announced the news via a lengthy statement on his Twitter page. Browner was suspended indefinitely without pay by the league on Dec. 18. The reinstatement will make Browner a free agent as his contract with the Seahawks ended after this season. Browner’s agent, Peter Schaffer, also confirmed the reinstatement to The Associated Press. The suspension was the second in two seasons for Browner. He was suspended four games last season for violating the league’s policy on performance-enhancing substances. He was the second Seahawks player to be suspended for violating the substance abuse policy during the 2013 season, along with fellow cornerback Walter Thurmond. From the start, Browner did not agree with the length of the suspension. Browner was in his third season with the Seahawks when the suspension came down. He started all 26 games he played for the Seahawks and had 19 tackles, one interception and 10 passes defensed this season. He was a Pro Bowl selection in 2011 when he had 23 passes defensed and six interceptions, but had not been able to match those numbers in the subsequent two seasons.